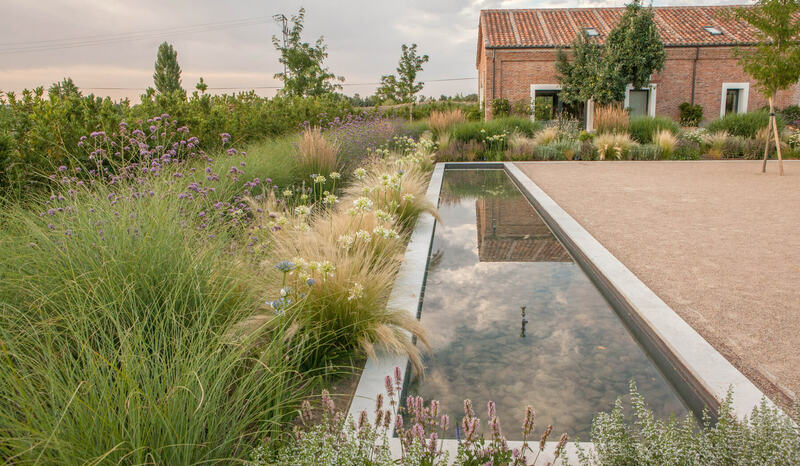 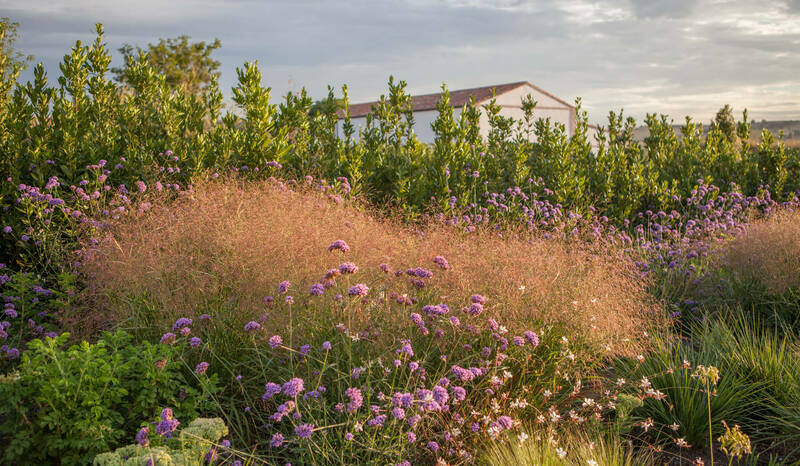 The owners of this estate, which is used for weddings and other events, needed a garden that would look lovely immediately after planting, an instant garden (in the photos in its first year). 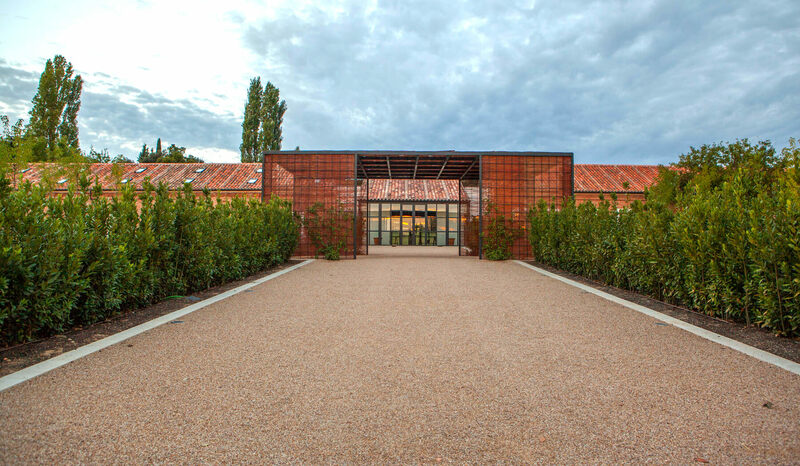 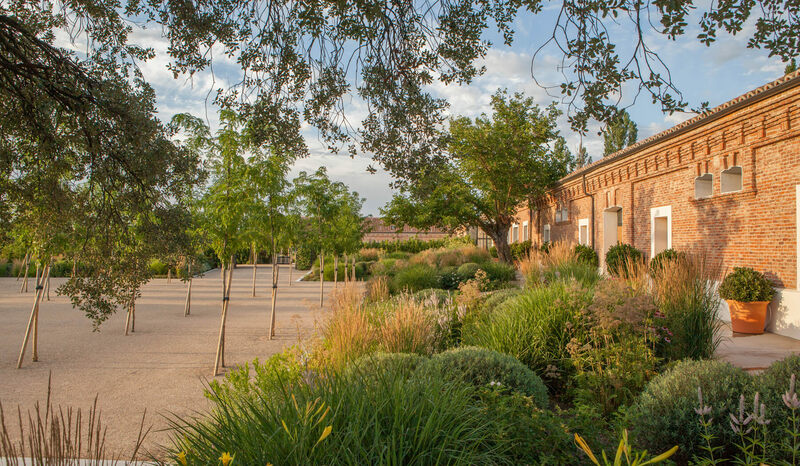 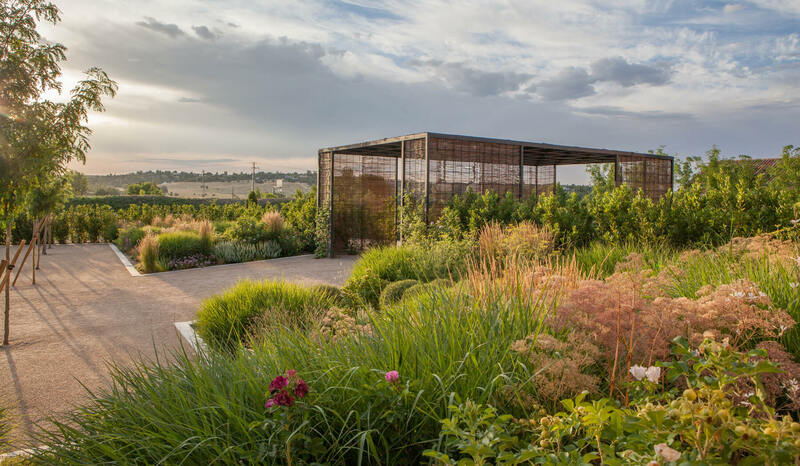 Fernando created two separate garden spaces, united by a large, iron and wattle reception pergola that is reached by a gravel drive flanked by laurel shrubs that hide the parking lot. 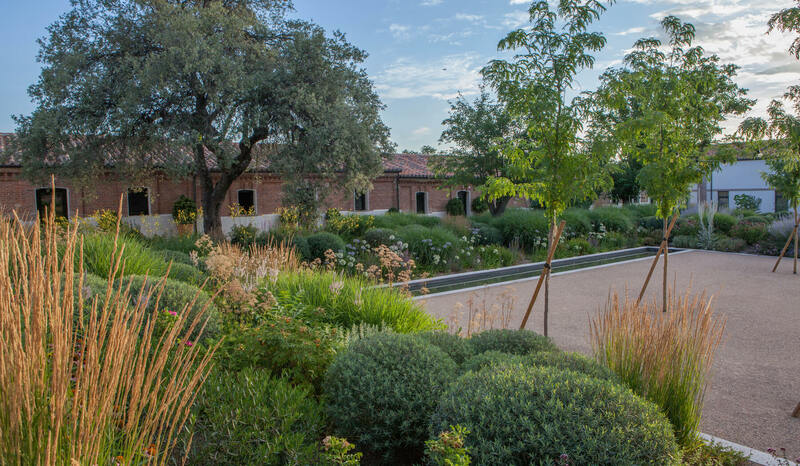 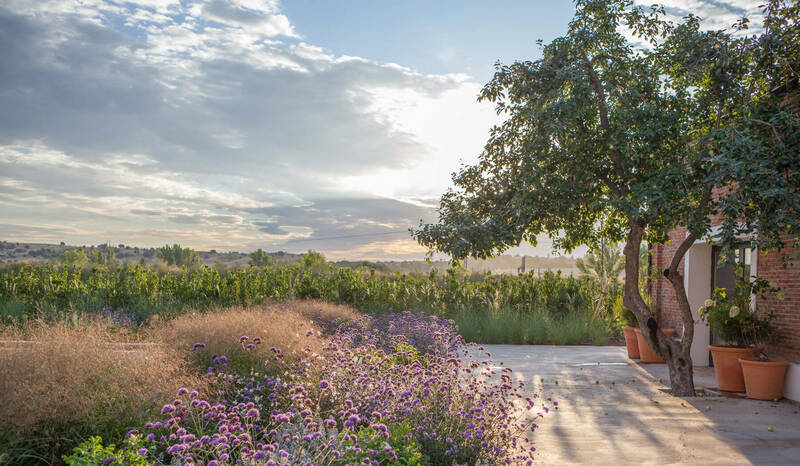 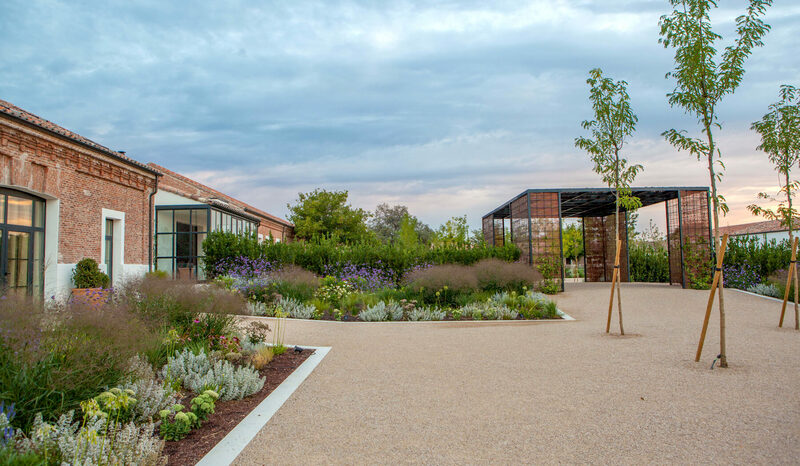 The large, pressed gravel surfaces where the tables are set up are planted with very close rows of Gleditsia triacanthos ‘Skyline’, a tree with feathery lemon-green foliage that is tough and fast growing, quickly producing interwoven branches that provide light shade. 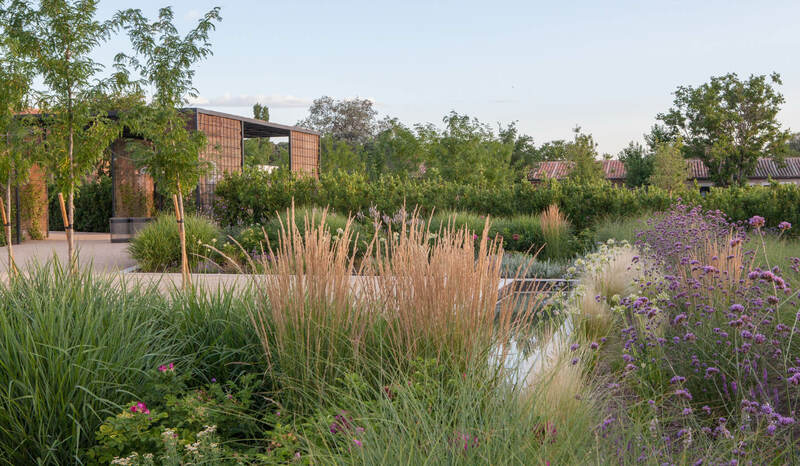 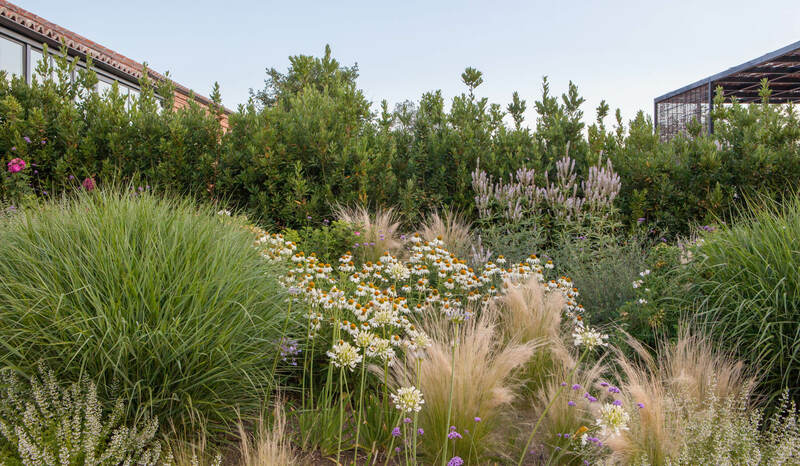 These areas are slightly sunken to enhance the view of the seven-meter-wide borders that surround them, covered in ornamental grasses, purple-branched hedges, white and pink echinacea, roses, white agapanthus… Another detail: the ponds cool the area while also muffling the noise from the nearby freeway.